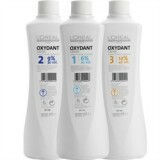 Rich, permanent color providing perfect coverage of up to 100% of white hair. Majirel 50ml From L'Oreal Professionnel Permanent colour Colours in B..
Majirel 50ml From L'Oreal Permanent colour Colours in base 3 ran.. 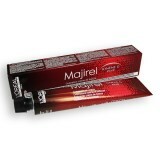 Fully stabilized and buffered to ensure consistent and uniform color results Creamy, ri..
Majirel Mix 50ml From L'Oreal Professionnel Permanent colour Colours in Maj.. 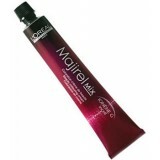 Lift and Deposit Hi.Chroma colorants allow visible colour results on dark natural ..
Majirel 50ml From L'Oreal Professionnel Permanent colour Colours in Majirel.. 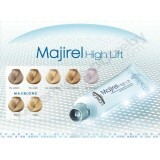 Permanent haircolor - Quick one step blonding and toning for dark natural bases (levels 1-4) ..
Majirel High Lift 50ml Tube Intense neutralising power. Long-lasting anti-brassine..